Will I receive a reminder with the link for my Webinar? Yes, you will receive two emails with the link to your Webinar. The first will come immediately after you’ve registered, confirming your registration and providing the link. The second will come 24 hours before the Webinar is scheduled to take place. PayPal confirmed my purchase, but I never received the link to the Webinar. What should I do? If you receive PayPal confirmation of your purchase, but do not receive a reminder email from Kevin Slimp (it may also appear as customercare@gotowebinar.com), then you have successfully paid for your Webinar but are not officially registered. Please email support@newspaperacademy.com in the case of unfinished registration. You will receive a timely email with the link to register, at no additional cost to you. PayPal is rejecting my credit card. What should I do? Unfortunately, Newspaper Academy has no power to resolve the issue of a denied credit card; however, PayPal Customer Service can help. The easiest way to resolve this issue is to call 1-402-935-2050, and answer “yes” to confirm your phone number. After that, repeat “Customer Service” as the answer to every question, and you will be transferred to a live Customer Service Representative. Will we be able to view Webinars at a later date, if we are unable to attend at the time they are scheduled? Currently, Newspaper Academy is working toward creating a platform for viewing past webinars; however, this service is not yet available. 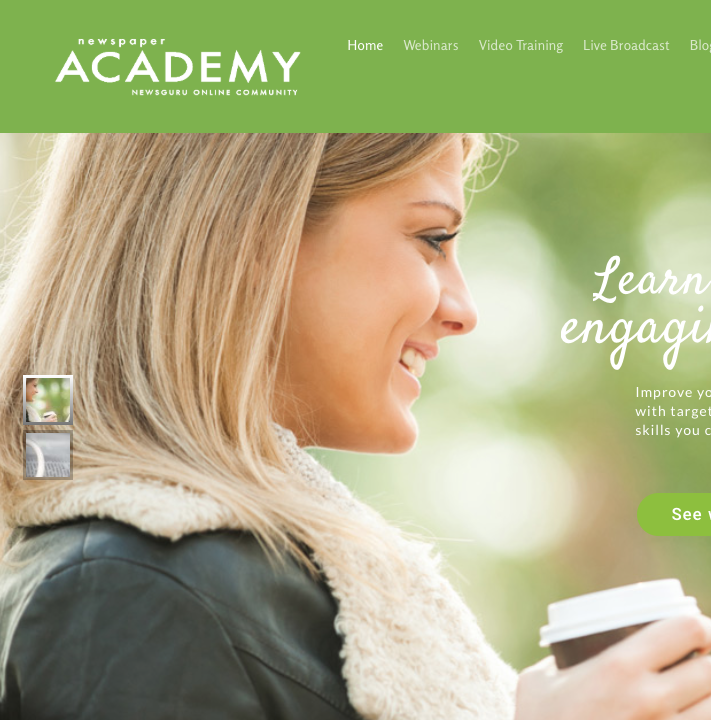 Please email support@newspaperacademy.com if you are interested in receiving updates about our latest products and services.